When it comes to ideas, I think I do okay, but when it comes to the actual creativity, I have to look to others and build on or adapt their ideas! 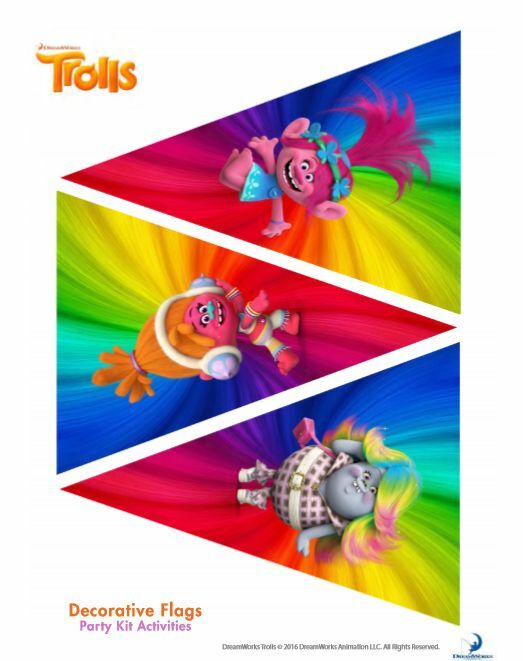 I don’t know who the originator of this Trolls bunting is as I can’t find it on the Dreamworks site, yet it’s labelled as Dreamworks, so we’ll go with that till I learn otherwise. 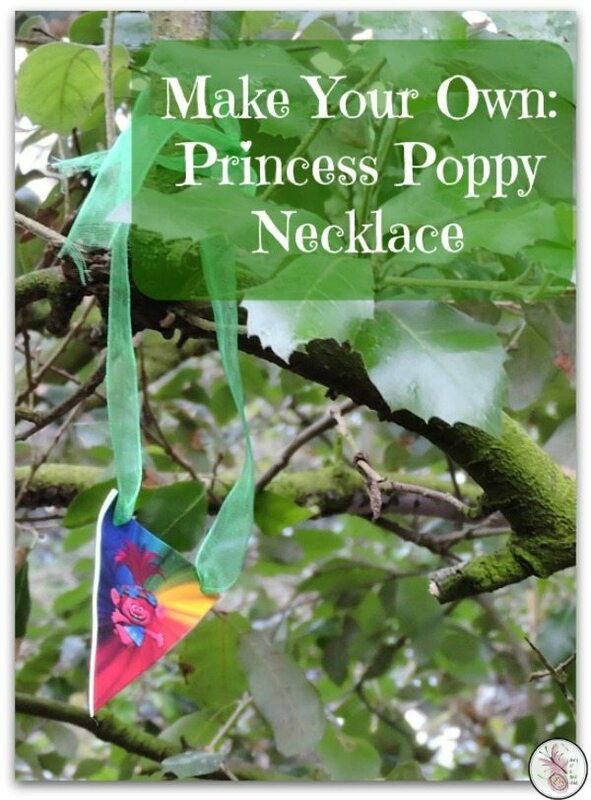 I didn’t want it as bunting though, but as necklaces, dotted around the forest for the children to find it during a treasure hunt, so we created our own Princess Poppy Necklaces. 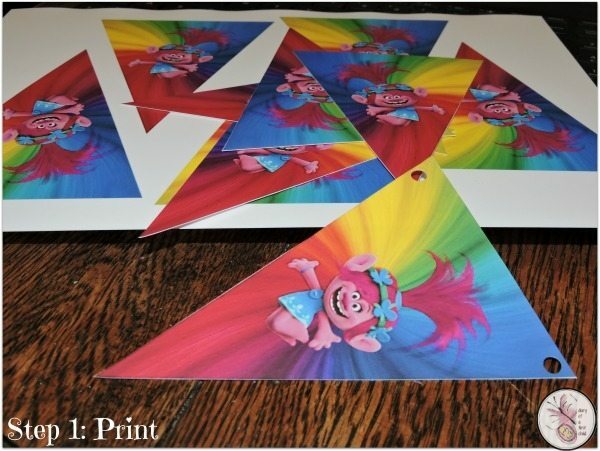 While the bunting offers different characters from Trolls, I only wanted Poppy for these necklaces, so I copied Poppy triangles into a document and printed them onto special paper – this is really expensive paper, but it is a lot cheaper than buying branded jewellery! And while it is expensive, we use it for so many different things! The paper can be used in a printer (check the details to make sure it’s compatible with your printer) and cut out like regular paper. 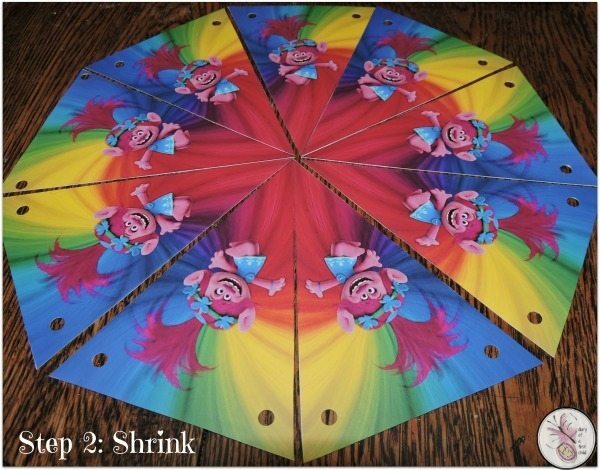 Use a hole punch to put holes in the triangles. Once printed, you need to heat the paper to make it shrink. You can use this fab heating tool, or an oven, but if you use the oven, you need to keep a close eye so that it doesn’t burn. Sometimes the ends curl up and you’ll have to use something like a fork or knife to flatten them out again. Once out of the oven, leave the Poppy Necklaces to cool (remember they’re hot plastic now, and hot plastic burns! ), then thread through string or ribbon. 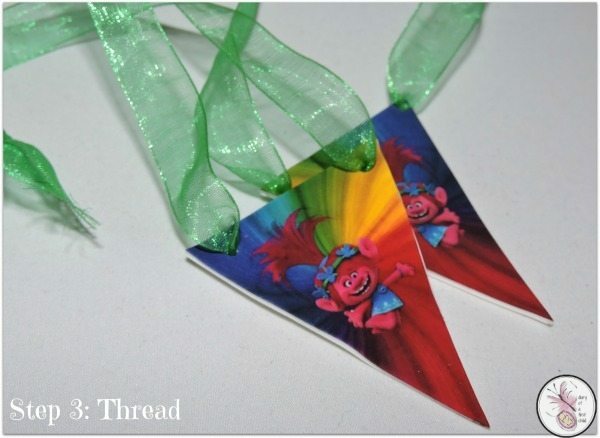 You can then use these as personalised party favours, or alternatively, as we did, hang them around the party venue for a treasure hunt as a party game.